Welcome to Half-Life 2: Genetic Variation, a Half-Life 2 mod created by The Genetic Variation Team. 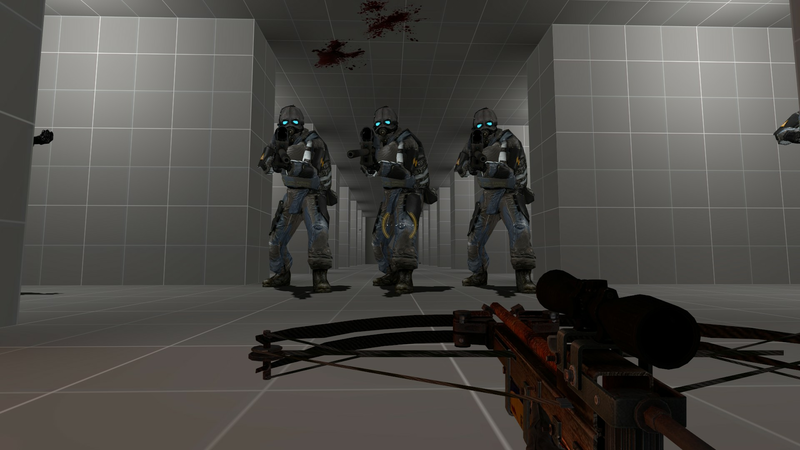 Half-Life 2: Genetic Variation is the spiritual successor to Half-Life: Zombie Edition and takes various inspirations from the original mod, such as the use of Headcrabs as weapons and transformations. 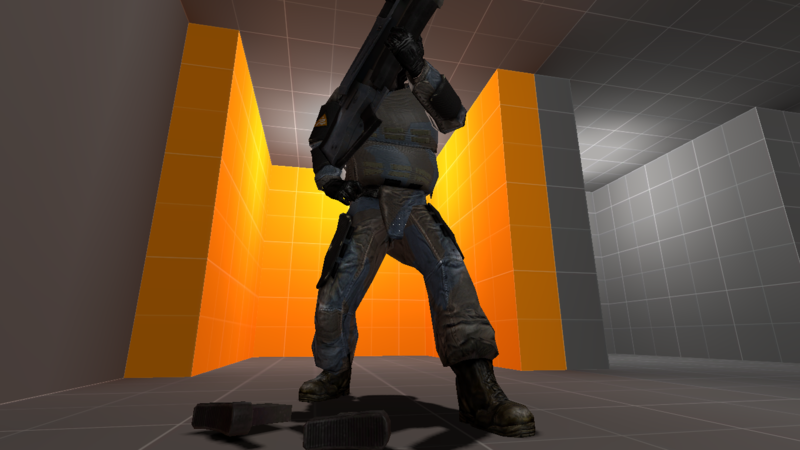 Unlike the original, which had no story, this mod will be as long, if not, longer than the HL2 campaign. You play as a Headcrab, but not an ordinary Headcrab. The Combine have developed a fairly recent technology and a way to increase the mutation process of a Zombie. Doing so creates a new form of Zombie, known as the Overnome, which is a very strong and aggressive Zombie. The Combine are looking for more Headcrab test subjects to create these new modified Headcrabs. In need of subjects, they incidentally find you and capture you. The Combine transport you to special labs to create more of the Headcrabs. However, the Combine made one huge mistake when modifying you specifically without even knowing. This simple mistake was a huge increase of Synth A.I. compared to other Headcrabs, which received very little and thus, creates a very sentient Headcrab, under Specimen name, TR-8R. Your story becomes unknown until you meet a special someone. Originally, I was a co-leader to a project called the TF2 Polishing Project. The Project was aimed at fixing what was broken in TF2 and updating anything out of date. A few months after the project, #trigger_hurt and I were discussing a possible idea for an HL2 Zombie mod after I had watched a video of Half-Life: Zombie Edition. The idea at first, was pretty simple; playing as a random type of Zombie in the HL2 universe. We thought that idea was really, too simplistic, so I started writing in my notebook for some possible concept for the then, unnamed mod. Eventually, my notebook pages become full and I started to come up with names for the mod. The names I came up with weren't very good, so I decided to come up with a title similar to the expansion pack names from the original Half-Life. I went to Wikipedia to search up some scientific terms and I came across, Genetic Variation. The name was perfect for the idea, especially with the Headcrab - Zombie relationship. That moment is when the real development started and we started to come up with unique ideas to differentiate it from other mods out there. At this point, I retired from the PP to focus on this mod and that is how GV was born. In order, next was Sabre-aN, whom I met commenting on his Zombie mod, Dragara, whom I met on Facepunch, Nocona-chan, whom I met on Synergy about a year and a half ago, Nonhuman, Allen Scott and then Pidgey!. It goes straightforward from there. I noticed a Half-Life 2: Zombie Edition was listed on ModDB after I had put GV on here. I took a look at it and it appeared that it was left dead in the tracks and some of the people waiting for that mod, moved to this page. Interested in becoming a playtester for the future? Message us on Steam with the links on our developer names. We're also looking for mappers. If you're interested in that position, contact us too. The latest and newest news for Genetic Variation finally comes, after a few months of waiting. I'm sure a lot of you we're waiting for something soon, so here we are, showing you new things... Anyway, let's get on with the progress. That's all the animations for now. As stated above, they're still in need of polishing. Now that you've seen them, tell me what you think of them. We appreciate all the feedback we can get. Also, the Standard Soldier model is temporary until we make our own custom mesh and texture, Next up on our list is a video of something. This video is a little brief, but I think you might like it. That's the Game Instructor, as seen in other Valve titles, such as CS:GO, Left 4 Dead and Portal 2. We plan on using those very wisely. It's mainly meant to help the player figure out what to do in certain situations, as some of the things we have planned may need it. Another thing we have successfully implemented is this. A video would've served better, but we'll serve one up later. What you're seeing here is something that was already implemented into CS:GO. This would be dynamic Magazine Ejection. If you're don't know what that is, let me explain. If a weapon has a magazine, we can then set it up to do this and once it's done, after an enemy reload, the magazine will fall onto the floor as a separate model. The model spawns in after a certain point in the animation, so you wouldn't notice anything that would "ruin" the experience. The model disappears after a while, as well, to save on performance, of course. We also did get some aiming working for the Combine Snipers. Well, sorta. Alright, we have a very early sculpt of the Overnome and that is pretty much the only model we can show you right now, while we work on more, so, here you go. As you can see, it's in dire need of a wheelchair, or just proper arms and legs. 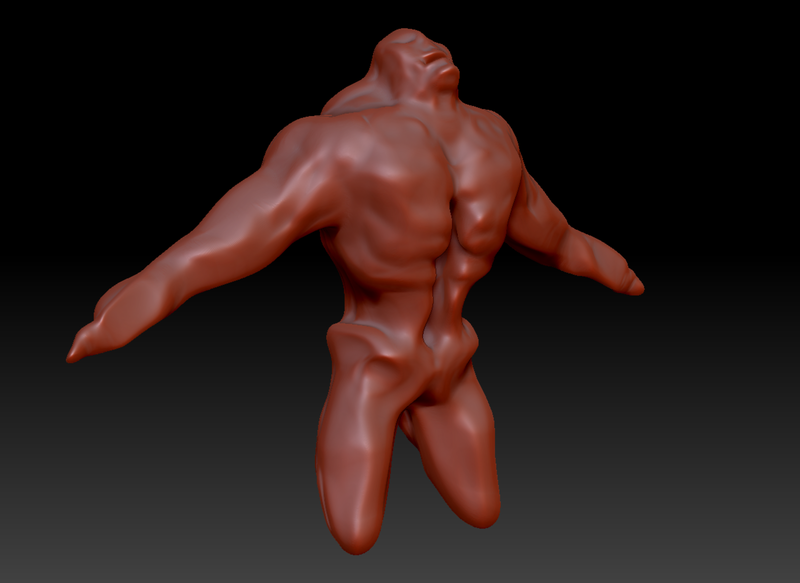 Jokes aside, getting the whole anatomy and body down is a tough task, so it's not bad that it looks like this. Every model has to start somewhere. Alright, I believe that's it for now. I leave you with one parting gift. An image. This happened during our initial testing of the Magazine Ejection. Its since the been fixed, of course. Just thought I'd share some developer shenanigans. We should have more content to show very soon. I'm sorry we haven't been active in the months, but we're working on it. I just wanted to say that. Now, that's all. Stay tuned for more updates in the future. 7th article for Genetic Variation showcasing some of Sabrean's Zombies, #trigger_hurt's model work and some unfinished Citizen faces. Another bi-weekly issue of our articles. This one specifically goes over Houndeyes, Bullsquids and our new early logo, plus a new song. This week, we've finally finished our main theme song and we have a little bit of things to show you. Take a look. It's that time of the week again, the week to showcase some stuff. Not much, but hope you like anything you see. How did I never think of that lol. The mod will be long? Depending on what you consider long. Probably the same length as Half-Life 2, plus a portion of the Episode 1 segment. So, guess that means it will be long. HL2 modding community always makes my day brighter. A great game and a good engine. Yeah, the community is great. Glad to be apart of it and make a mod.